The six of them meet for the first time in front of the sagging clapboard house where Everett Montrose was born. All are tired, with hollows under their eyes from driving or riding buses for days. Even so, they greet each other with shy, relieved smiles. Few words are said; most seem unsure of how to speak to each other. There are some handshakes, even a quick hug or two, but these interactions are awkward and all soon turn their attention to their reason for coming here. They all carry with them small pieces of Everett Montrose, and all instinctively touch the fragments as they look to the house. 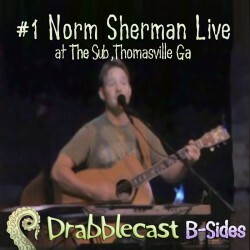 This episode of the Drabblecast opens with an announcement that the Kickstarter goal for Norm’s new CD has been reached. 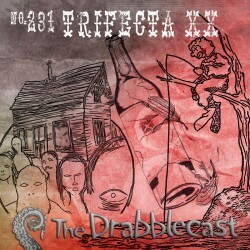 The theme of the trifecta is Southern justice. In Whit Carlson’s Trespasser, chronic bellyacher Whit Carlson makes a complaint to the sheriff about a clown fishing on his property. In The Six Pieces of Everett Montrose, six strangers meet in front of the house where Everett Montrose was born and where his brother still lives. Each has been compelled to return the bone fragment he or she has found. In Boll Weevil, a man drives home through a plague of boll weevils to face the end of the world. Whether they are a bioweapon, a biblical plague, or aliens, the boll weevils have survived the winter and started breeding wildly, injecting their babies into people with each bite. 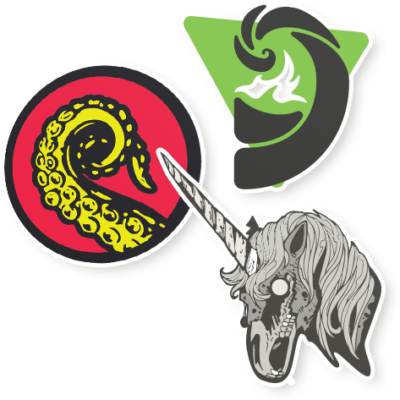 After containment and quarantine have failed to stop them, a scorched earth policy is about to be enacted. The episode concludes with a bit by Hearty White reading a poetry submission rejection letter. 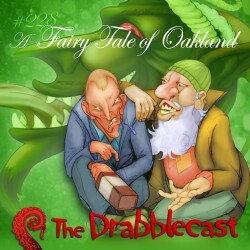 This episode of the Drabblecast opens with Norm’s reflections on the holidays, Santa Claus, and the origins of flying reindeer. In the drabble, the mayhem of a large family’s holiday dinner leads to a darkly humorous tragedy. In the feature, an unsavory petty criminal has a chance encounter with a dying old man who confides that years ago Santa bestowed upon him a miracle, a wish, to teach the true meaning of Christmas. Unfortunately, as they both learn, it comes with a catch..